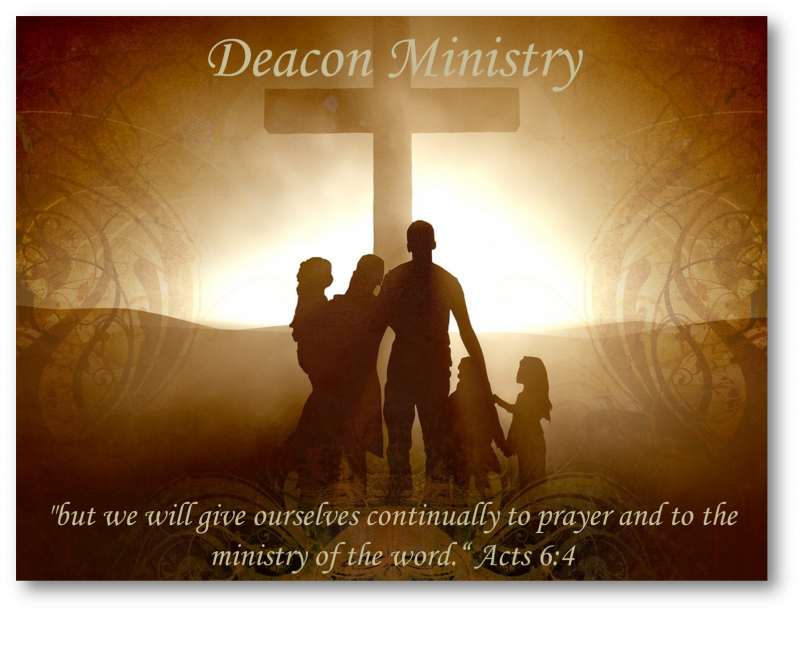 Our church cares for you and your family; therefore, our pastor and the deacons are committed to the Deacon Family Ministry Plan. In this plan, the deacons join the pastor and the church staff in ministering to the physical, spiritual, and emotional needs of each church member and family. The resident church families are each assigned to a deacon who will minister to them over a period of time. Our deacons have been nominated and elected by you, the congregation, and are called by God to this task of caring and loving our church families. The more time we spend with you through visits and fellowship, the more we get to know you and your needs, and the more specific our prayers become. No one is perfect so please pray for us as we pray for you and your family. We spend a portion of our meetings each month: praying for our families’ needs and also rejoicing over needs met and victories won; and, formally and informally developing our skills in ministering to family needs. The deacons want to help their families experience the love and support of our whole congregation.